Japan’s first luxury hotel that offers extraordinary experiences “Hohinoya” is offering many kinds of programs. In this article, I will introduce to you some programs that they are going to offer from summer of 2018. “Hoshinoya Taketomi Island” located on Taketomi Island, Okinawa will offer activity tours where jungle butlers acquainted with Japan’s last treasure spot, Iriomote Island will arrange the tours. The contents and the schedule of the tour can be adjusted at your own will. 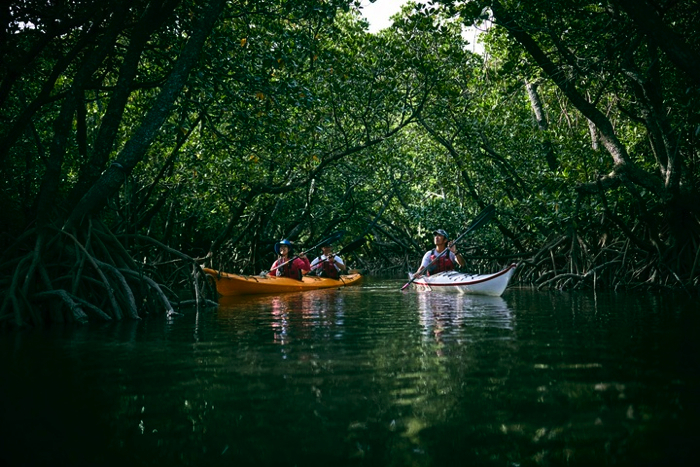 On this tour, you can stay at Taketomi Island and enjoy the jungle of Iriomote Island and the rich nature of the Yaeyama Island Chain. At “Mori no Hotori café&bar” lodgers of “Hoshinoya Karuizawa” located in Karuizawa, Nagano Prefecture can use offer summer-season-limited seats between the 1st of July, 2018 to the 31st of August. This spce will be prepared under the concept of “offering a roofless private space.” They are planning to offer 3 kinds of Japanese cocktails related to the Shinshu Area. 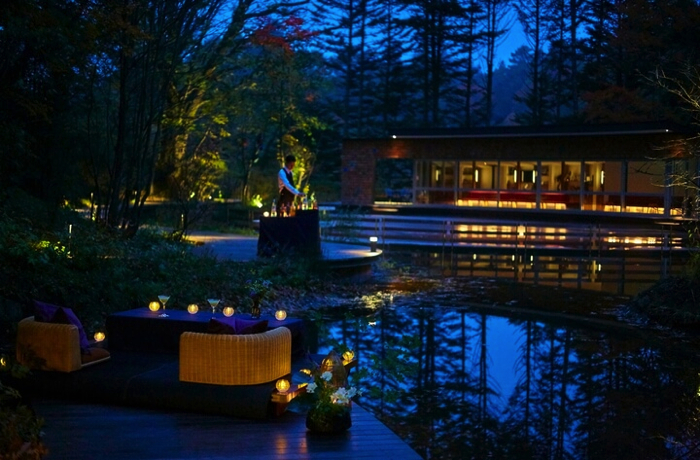 Let’s enjoy the nature of Karuizawa which is known as one of the most famous summer retreats in Japan. The seats cannot be used depending on the weather condition. 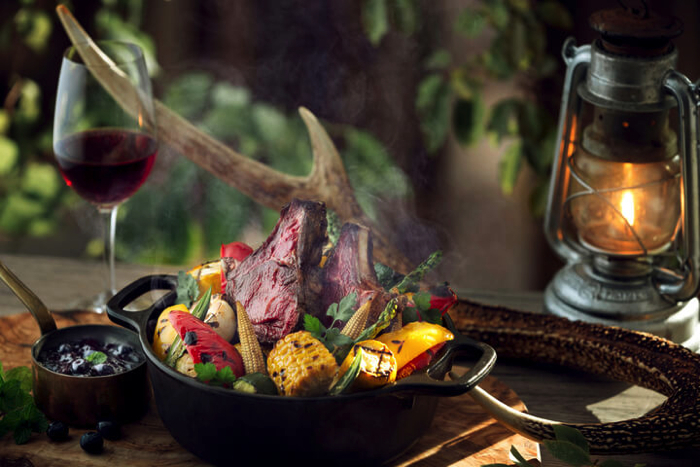 Japan’s first grumping resort “Hoshinoya Fuji” located in Yamanashi Prefecture will offer an experience-based dinner plan named “Summer Wild Game Dinner” where you can enjoy eating special menus items cooked in a Dutch oven in the open-air dining space. The summer-season limited seasonal menu itmes use “venison” and “brawn.” They offer 5 kinds of courses that use rich flavored wild game combined with Yamanashi Prefecture’s (the prefecture is known as “the fruits kingdom”) seven kinds of summer fruits. 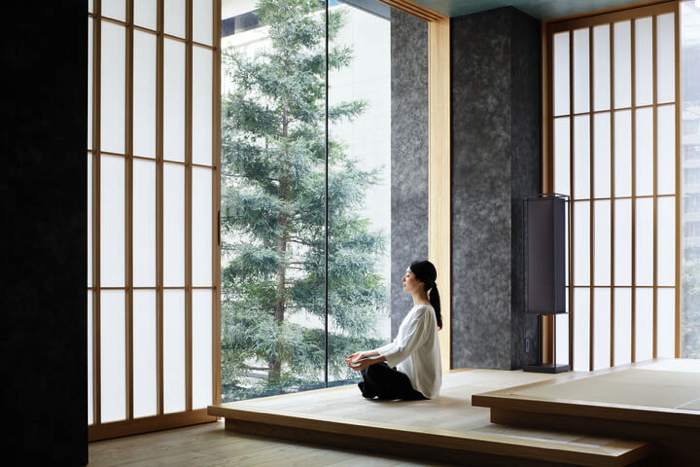 The spa program named “Shinkokyu Yojo” will start from the 1st of June 2018 at a Japanese accommodation in Tokyo. You can learn about how to maintain your health and a balanced mind and body by taking a deep breath. The program includes stretching lesson, an aroma experience, spa treatment, healthy meal and hot spring experience. Let’s learn about the method of breathing to become healthy. “Hoshinoya Kyoto” located in Kyoto, Arashiyama will hold “Private Ukai (cormorant fishing) Kanshobune (observing from the boat).” In this activity, you can observe the summer feature of Arashiyama “cormorant fishing” at “Oi River” which flows in front of the accommodation. 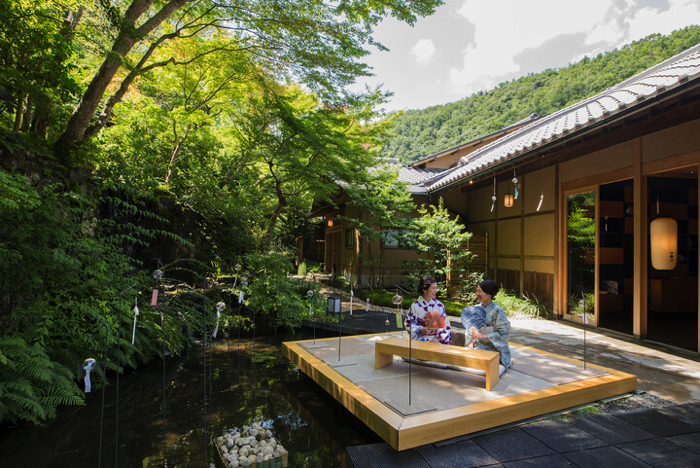 Tea ceremony dishes using the motifs of Arashiyama’s views and histories will be served to the participants. You can also listen to the sound of Shamisen and drink Champaign. “Hoshinoya Kyoto” will hold 5 summer/waterfront activities named “Okuarashiyama Noryo Taizai (staying experience) from the 1st of July 2018 to the 31st of August. 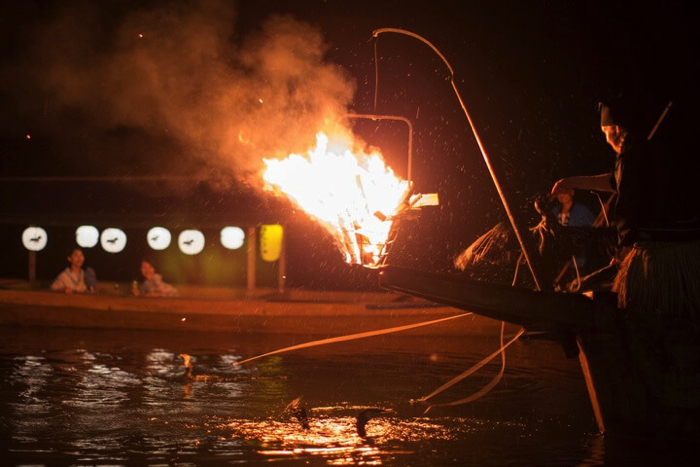 The activity includes events such as “Okuarashiyama’s Noryoyuka,” “Mizube no Yaza” where you can experience stretching/meditation lessons at nighttime and “Noryobune Lunch” where you can enjoy eating lunch on a boat. Why not avoid the summer heat and enjoy the culture of Okuarashima filled with maple trees. Why not participate in one of the events noted above this coming summer!